It has been reported that Kim Hyun Joong was admitted to the hospital on the morning of 8th June because he had high fever and subsequently fainted. He is being treated by doctors and has been strictly recommended to rest for a few days. Because of his collapse, the SS501 trip to Thailand has been canceled. Word has it that Kim Hyun Joong, was already at the airport, on the way to Thailand, but did not make it on the flight. This leads us to believe that he collapsed at the airport and was rushed to the hospital. This is not the first time Hyun Joong has fainted. We heard that he fainted shortly after work on Boys Before Flowers completed, due to exhaustion. Seriously, the guy is over-worked. 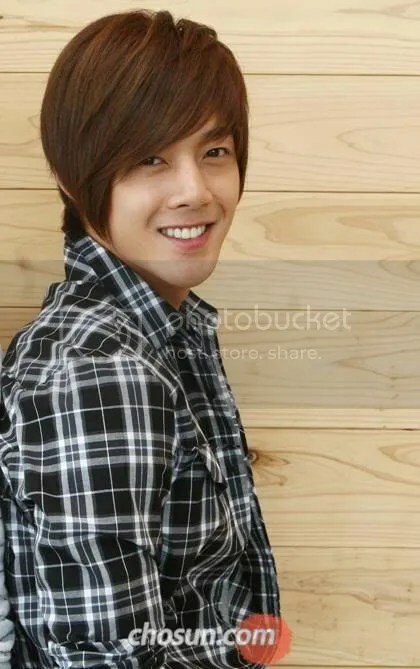 Right after filming BBF, he delved into CF filming (lots and lots of them) and also worked on ss501’s new album simultaneously while traveling overseas for promotions and activities. There wasn’t any time for rest at all! 3 Responses to "Kim Hyun Joong collapses again"
OMG! This is the third time already. I hope leader get enough rest this time. His company is putting to much works and pressure on him. Poor thing! Please get well soon.